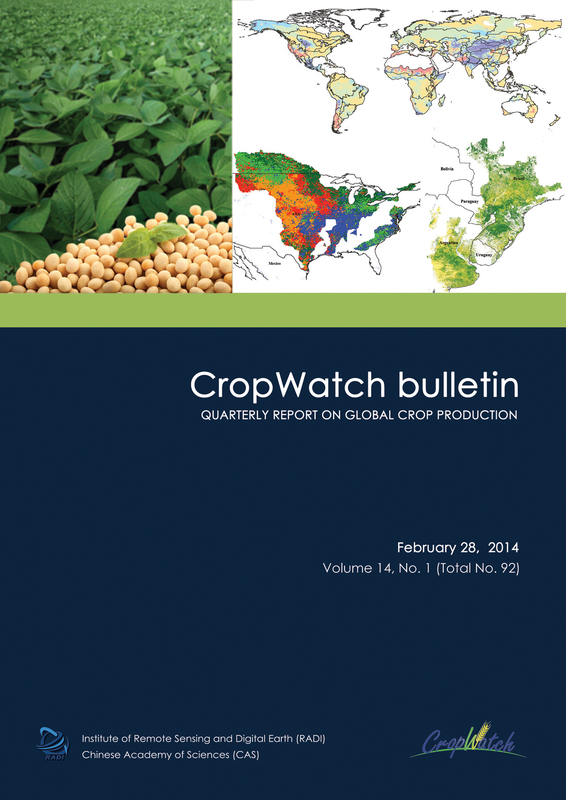 The February 2014 CropWatch bulletin (Vol. 14, No. 1) presents a global overview of crop stage and condition between October 2013 and January 2014. Using a hierarchical approach mostly based on remote sensing indicators, the bulletin describes environmental variables—rainfall, temperature, radiation, and biomass—for the globe, along with agronomic indicators—vegetation condition and health indices, ratio of uncropped arable land—for major production areas, thirty key countries, and China. The bulletin also summarizes disasters and extreme weather events over the monitoring period and presents a focus section on soybean. 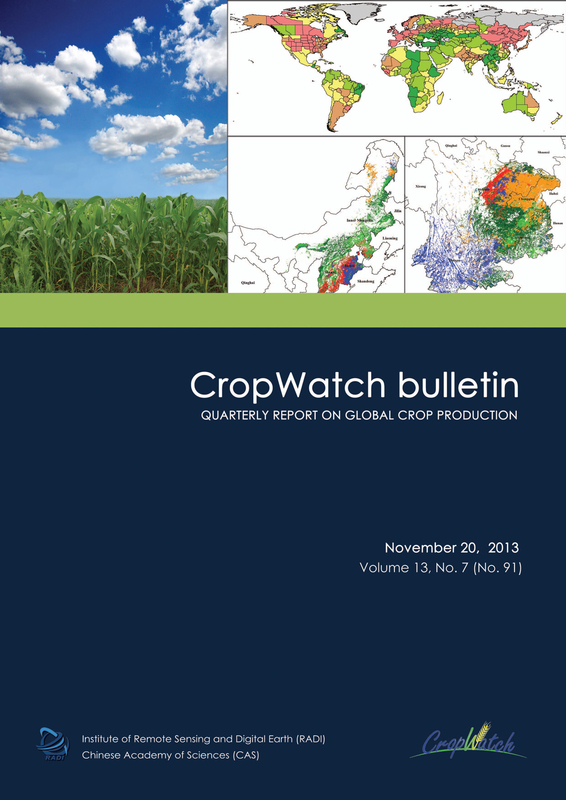 The November 2013 CropWatch bulletin provides a comprehensive overview of the 2012-13 global production of wheat, rice, maize, and soybean. It is based on a thorough analysis of environmental conditions and a quantitative assessment of their impact on crops, focusing on some of the major production areas and countries, including China. 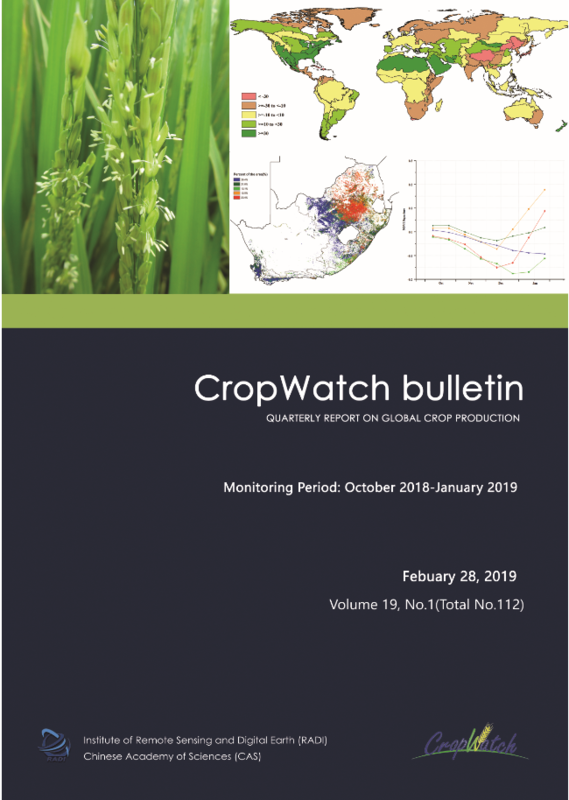 The CropWatch analysis presented in the report takes advantage of newly available data, including the high quality data from the Chinese FY-3 and HJ-1 satellites, and introduces new spatial units of analysis, new methods, and several innovative remote sensing-based indicators. The report marks CropWatch’ first systematic contribution to GeoGLAM and the G20 Agricultural Market Information System (AMIS) and for the first time is released in both English and Chinese.